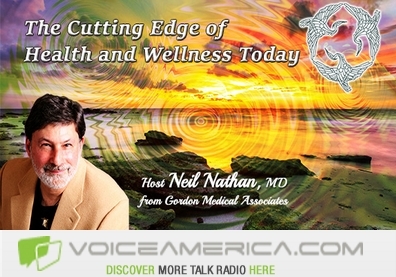 On August 1, 2014, I began an internationally syndicated radio program/podcast, The Cutting Edge of Health and Wellness Today, on Voice America. My intention in doing this was to create an easily accessed body of information that would allow the foremost medical practitioners and researchers to bring their knowledge and experience to the public and medical community on a wide array of “cutting edge” topics. I am gratified to report that as of last year, we had over 230,000 downloads of these programs in over 70 countries. There is a new program monthly from 2-3pm Fridays, PST. Each month I will announce the subject of our broadcast; call-in (1-866-472-5792) or email (neilnathan@earthink.net) questions are welcomed. Visit us on Facebook at The Cutting Edge of Health and Wellness Today for program updates. Please LIKE us and SHARE or ask me questions on our Facebook site, The Cutting Edge of Health and Wellness Today. All radio shows will be archived for easy access. 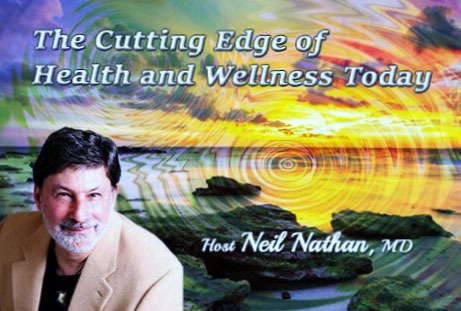 Please go to The Cutting Edge of Health and Wellness Today to sign up and listen for free at your convenience. Wellness Today! It is great to put a live face on the voices (Sandra, Randy, Ryan and Matt) I have worked with for almost two years now. Past episodes are available through the Podcast Player.